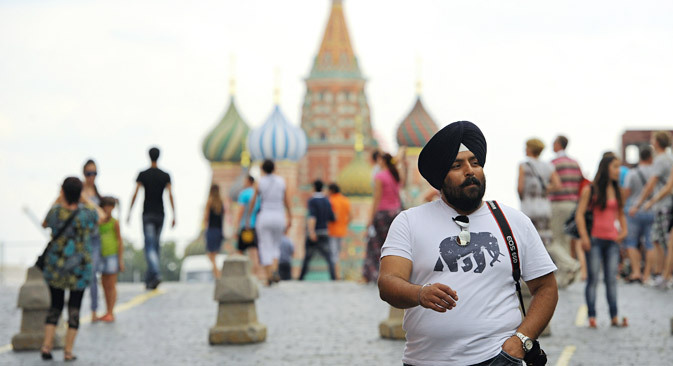 Russian tourist business believes that foreign visits would increase immediately after visa abolition. Travel companies are asking the Russian Foreign Ministry to implement an electronic visa system and provide travelers with the possibility of visa-free transit through the country. Representatives of six Russian tourist companies, including Intourist Thomas Cook, City Sightseeing Moscow and the Academservice hotel booking system sent a letter to Russian Foreign Minister Sergei Lavrov with a proposal to simplify the visa regime unilaterally for foreign travelers. The first step for the unilateral liberalization of the visa regime should include measures to introduce electronic visas and for visas to be issued on arrival, according to the letter. Additionally, the letter suggests that a visa-free transit stay in Russia for 72 hours should be implemented for Western European visitors. According to Alexander Kurnosov, the general director of Academservice, the complete abolition of visas would gradually increase the inbound flow into Russia from Europe and the U.S. by 30-40 percent. Leonid Marmer, the general director of Intourist Thomas Cook, expects that the abolition of visas could increase the number of tourists from European countries by 25-30 percent in the first year alone. However, according to a Kommersant source familiar with the issues surrounding Russia’s visa policy, "the abolition of visas in any case is decided on the basis of FSB recommendations, while the Foreign Ministry simply acts as an administrator." The head of the organization Migration XXI Century, Vyacheslav Postavnin, is skeptical of this tourist industry initiative as well. "For our country, the abolition of visas has always been a matter of purely mutual measures,” Postavnin says. “In Russia it has always been based on the principle of reciprocity." A full version of the article is available in Russian.